Born: 22 April 1908, West Bromwich, Staffordshire, England. Died: 23 April 1980, Durban, South Africa. Lawrence H. Wells, familiarly known as "Lawrie", emigrated to South Africa with his family as a child in 1920. He matriculated at St John's College in Johannesburg and obtained the BSc (1928) and MSc (1930) degrees in anatomy at the University of the Witwatersrand, Johannesburg, under Professor Raymond Dart. At the same University he was awarded the degrees MB, BCh in 1938, and the DSc in Anatomy in 1946. He began his academic career at Wits in 1926 as a demonstrator, joined the lecturing staff of the Department of Anatomy in 1932, and in 1948 became reader in human palaeontology. In 1951 he moved to the Anatomy Department at Edinburgh University were he was first appointed as senior lecturer in physical anthropology and promoted to reader in 1954. He returned to South Africa in 1956 to take up the chair of anatomy at the University of Cape Town. Wells retired in 1973 but just a year later was back in academic life as acting head of the newly established Department of Anatomy in the University of the Western Cape. From 1975 until the end of his life he was a part-time teacher of anatomy at the Durban Medical School of the University of Natal. As one of South Africa's leading scientists Wells made major contributions to several scientific disciplines. He began his research career very early, as a nineteen-year old student when, with E.A. Thomas, he wrote a paper on the anomalies of the laryngeal muscles, published in the Journal of Anatomy (1927, Vol. 61, pp. 340-343). Indeed, muscular anomalies and variations proved to be one of Wells' lifelong interests. His impressive MSc thesis was published in the American Journal of Physical Anthropology (1931, Vol. 15, pp. 185-289) under the title "The foot of the South African native". Similarly his DSc thesis dealt with the function and phylogeny of the human leg and foot, and has proved of great value to the treatment of orthopaedic disorders of the lower limbs. He conducted research on southern African populations, particularly the San, which resulted in several noted papers such as the 1938 study "The status of Bushman as revealed by a study of endocranial casts" (South African Journal of Science, Vol. 34, pp. 365-398) and in 1952 "Physical measurements of Northern Bushmen (Man, Vol. 52, pp. 75-98). As an anthropologist he was particularly interested in the people of the Middle and Later Stone Age in southern Africa and published a number of papers on their remains between 1929 and 1972. He described and analysed several important human fossils, for example, from Border Cave (American Journal of Physical Anthropology, 1959, Vol. 8, pp. 241-242) and several from other countries: East London, England (1935); Kabwe, Zambia (1950, with J.D. Clark, K.P. Oakley and J.A.C. McClelland); Singa, Sudan (1951); and Haua Fteah, Libya (1953, with C.B.M. McBurney and J.S. Trevor). Wells did not exhibit much interest in australopithecine fossils, the study of which made his alma mater famous, and published only a few broad remarks on them. However, he carried out faunal analysis on the extinct fossil mammals contemporaneous with the South African australopithecines, which significantly contributed towards better understanding of australopithecine ecology as well as the dating of several important hominid sites (South African Archaeological Bulletin, 1969, Vol. 24, pp. 93-95). Among others he studied the prehistoric mammalian fauna from the Vaal River beds, from Chelmer (near Bulawayo, Zimbabwe), Kuruman, Barkley West, Makapansgat, Langebaan, and Hopefield in the Western Cape. Through his research into prehistoric South African peoples Wells developed an interest in archaeology, visited most of the archaeological sites in southern Africa, and accumulated a sound knowledge of stone artefacts, pottery and ancient beads. He participated in several archaeological expeditions (to Cathin Park Caves, Vlakkraal, Border Cave, and Wonderwerk Cave) and produced several valuable scientific papers. He was also interested in the history of medicine, a field in which he contributed several shorter papers. During his later years he focussed particularly on the history of medical illustrations of earlier centuries. Wells executed many administrative and organizational duties. He was President of Section E (Anthropology) of the South African Association for the Advancement of Science in 1940 and again in 1970, and of Section D (Animal Biology) in 1946. He was also honorary editor of the South African Journal of Science from 1949 to 1950, President of the South African Archaeological Society in 1970-1971, and a foundation member of the Anatomical Society of South Africa. His scientific achievements were honored in South Africa and abroad. He was awarded the British Association Medal by the South African Association for the Advancement of Science in 1936, and an Honorary Doctorate in Medicine by the University of the Witwatersrand in 1979. 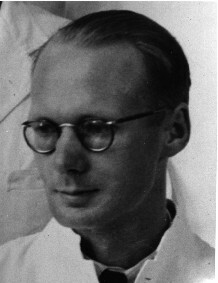 He was elected a Fellow of the Royal Society of South Africa in 1944 and a Fellow of the Royal Society of Edinburgh in 1954. Wells married Eunice Nicolette (nÃ©e Marais) with whom he had a son and a daughter. His students will remember him for his carefully constructed lectures and wide academic experience, but also for his kindness and concern for all with whom he came in contact, despite a shy and retiring nature. Obituary: Professor Lawrence Herbert Wells. South African Archaeological Bulletin, 1980, Vol. 35, p. 66. Tobias, P.V. Wells, Lawrence Herbert. In: C.J. Beyers & J.L. Basson (eds), Dictionary of South African Biography, Vol. 5, 1987. Pretoria: Human Sciences Research Council. Tobias, P.V. Lawrence Wells (1908-1980) and the Wits anatomy department with some glimpses of his role in australopithecine unraveling. The Adler Museum Bulletin, 1988, Vol. 14(2), pp. 11-17. Trevor-Jones, R. Professor L.H. Wells. South African Journal of Science, 1980, Vol. 76, pp. 261-262.